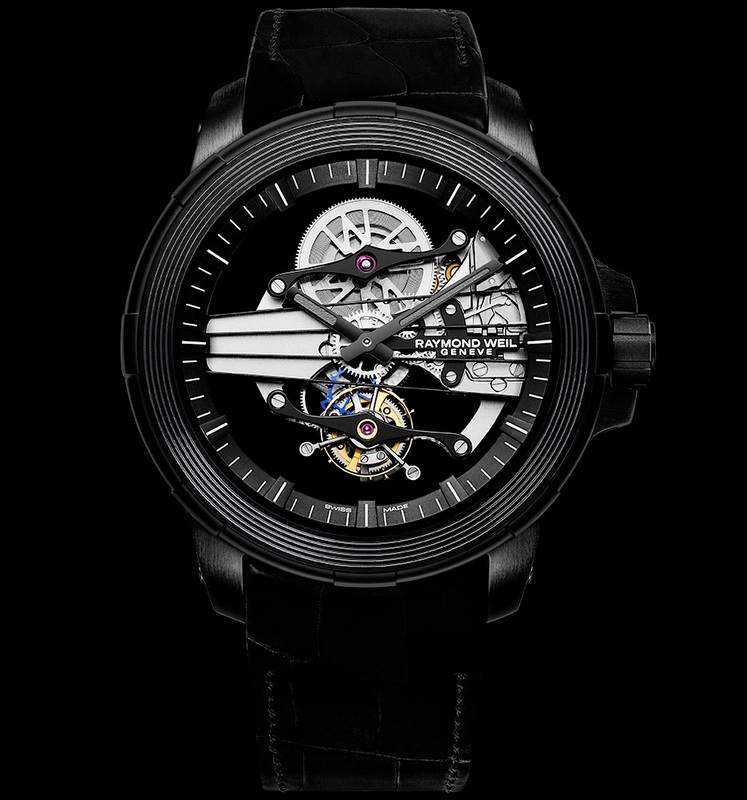 Both sides of this model are fitted with sapphire crystals, providing a surrealist plunge into a world of transparency and precision: the movement bridges supporting the tourbillon escapement and mainspring barrel, for example, take the form of the instrument’s distinctive f-holes, while the slender hands are formed in the shape of a cello bow and the five lines of a musical stave are represented in the grooved bezel. 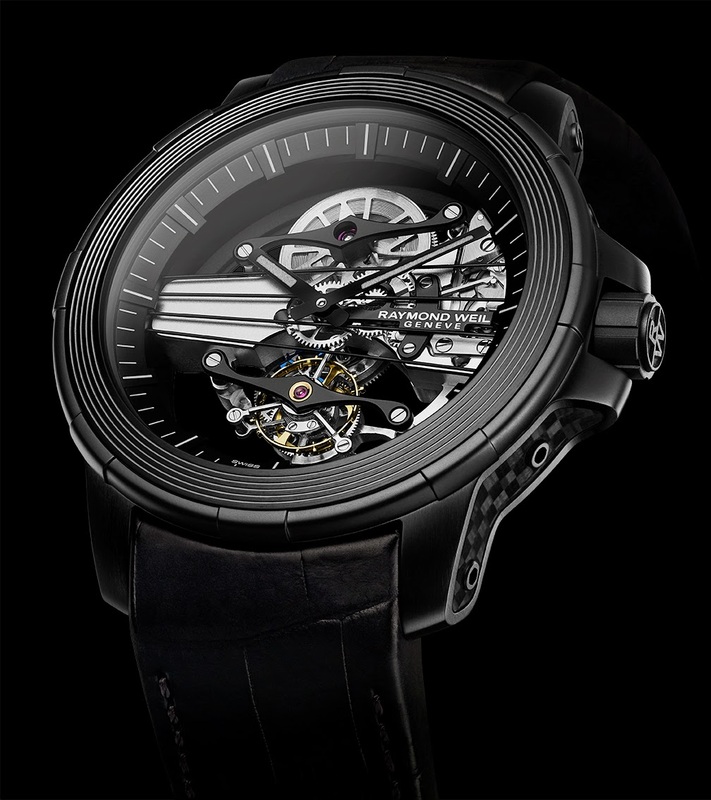 The four tiny strings which are stretched taught across the dial of the watch between the 9 o’clock and 3 o’clock positions, combine with the f-hole shaped bridges to create the illusion of an instrument in miniature. 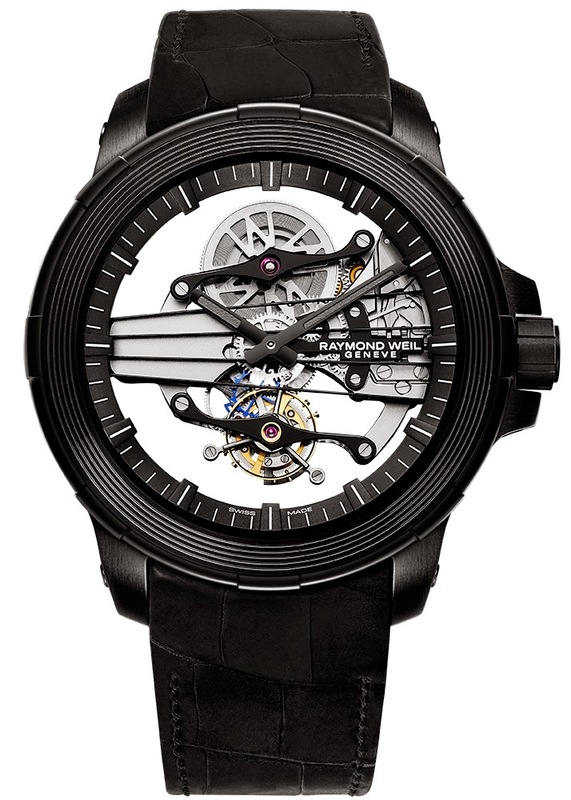 The remarkable musical elements of the mechanism were conceived entirely by the RAYMOND WEIL in-house Research and Development department, which was set up by the brand in 1999. 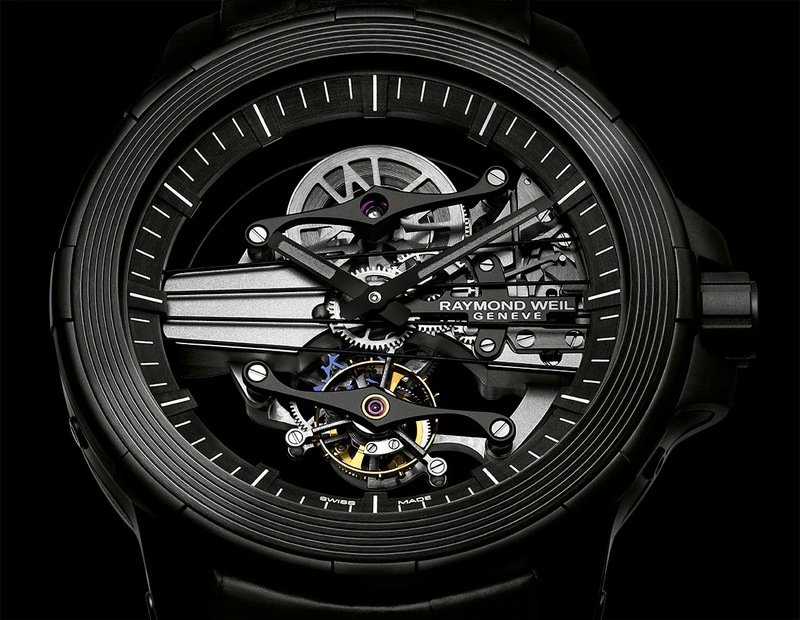 Alongside its undeniable beauty, the tourbillon cage serves to make major precision adjustments and plays its role as the ultimate compensatory element. Beauty appeals and technique reassures in this masterful creation. 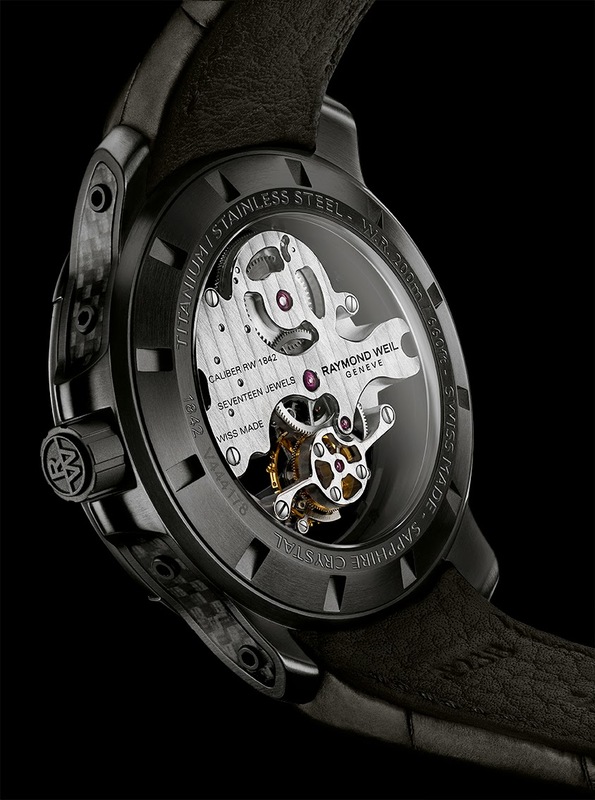 The lightness required for the rotating cage harmoniously echoes the steel and titanium case and features an extremely airy variation, despite its generous 46 mm diameter. 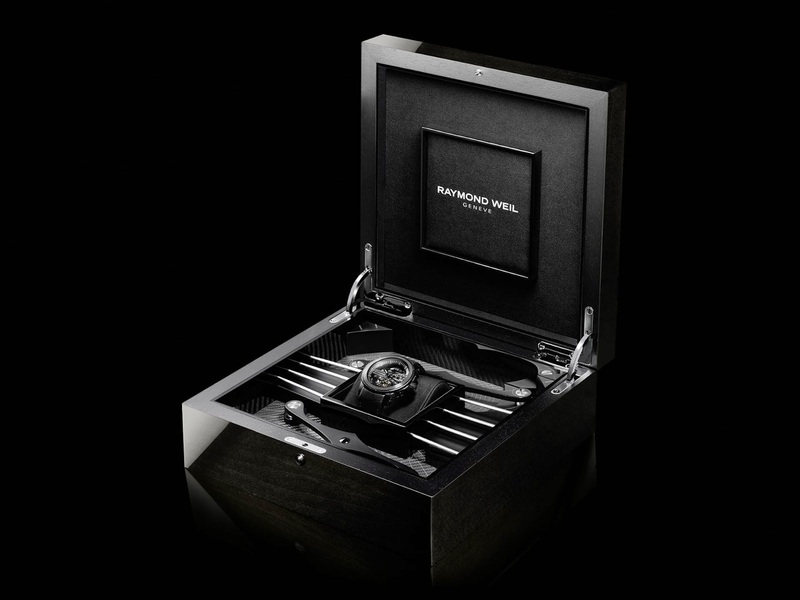 Carbon fibre sets the perfect finishing touch, stretching along the black PVD-coated sides of the timepiece. In a subtle detail much appreciated by connoisseurs, the screw-lock crown lines up the RAYMOND WEIL logo with the curve of the case, while a genuine crocodile leather strap holds the model firmly to the wrist, thus infusing this object of fascination with all the signature codes of subtle elegance.